If sources are to be believed then Katrina Kaif has been training rigorously and working out hard to achieve a certain level of fitness to be able to fit in her action sequences in Tiger Zinda Hai. The film is turning out to be a larger than life out and out action flick. Salman Khan and Katrina Kaif -starrer Tiger Zinda Hai is one of the most awaited films of the year. It is a slick spy drama from Yash Raj Films, directed by Ali Abbas Zafar and produced by none other than Aaditya Chopra. If sources are to be believed then Katrina has been training rigorously and working out hard to achieve a certain level of fitness to be able to fit in her action sequences. 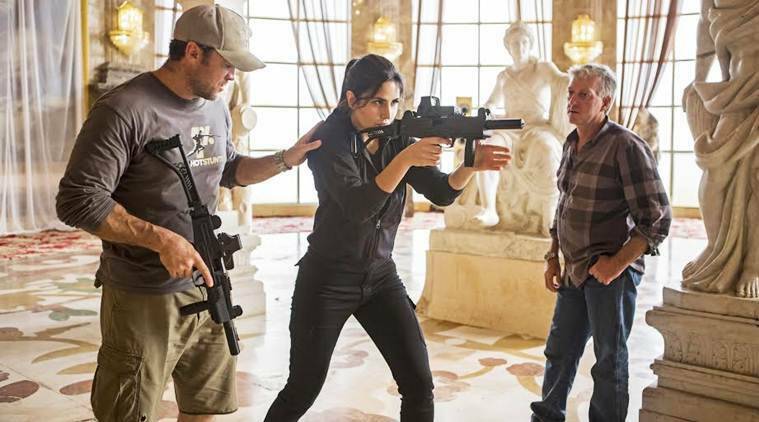 Katrina herself has been posting quite a few pictures on her social media accounts from the shoot of Tiger Zinda Hai regularly, and we are definitely expecting amazing action sequences from her, aren’t we? Tiger Zinda Hai is turning out to be a larger than life out and out action flick, and is expected to be avant garde. Its first part Ek Tha Tiger was a superhit.